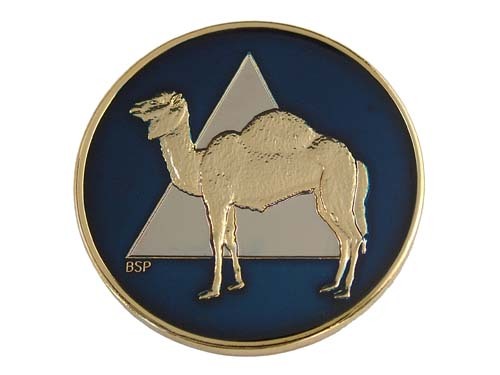 The camel is a special symbol to members of Alcoholics Anonymous and is proudly displayed on this beautiful Tri-Plated Medallion! The Camel teaches us spiritual principles: Prayer, Faith, Spirituality, and Sobriety Ã± One Day At A Time! The tasks of the day can pass with ease when a camel or I start on our knees. 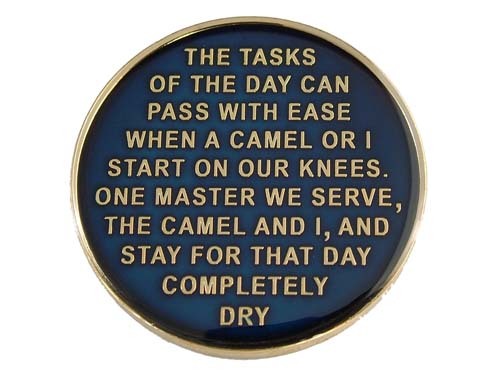 One master we serve, the camel and I, and stay for that day completely dry.